How strong is your vocabulary? Take this 10-question quiz to find out — and maybe learn some new words along the way. You'll have 10 seconds to answer each question. 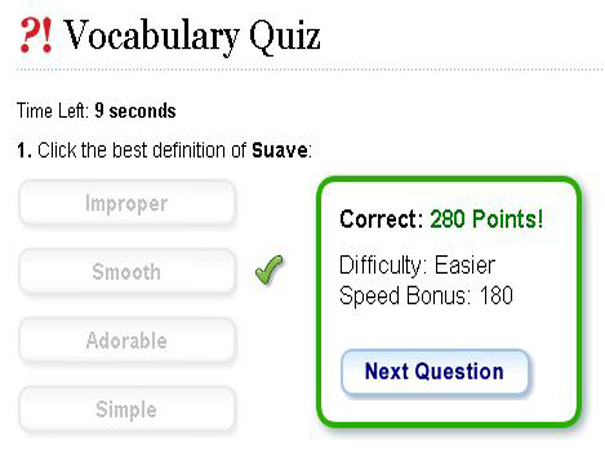 The faster you answer, the higher your score. The harder the question, the higher your score. The test is very simple, but what is great is that you can try it as often as you'd like and each time there are different words to learn and remember!